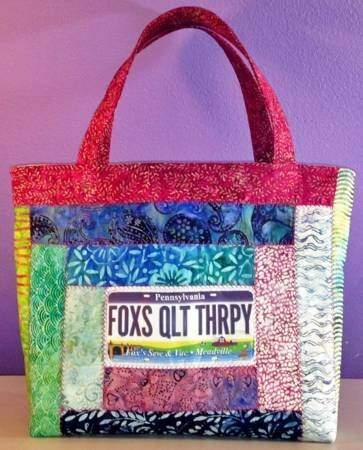 Fabric License Plate Tote by Cut Loose Press. 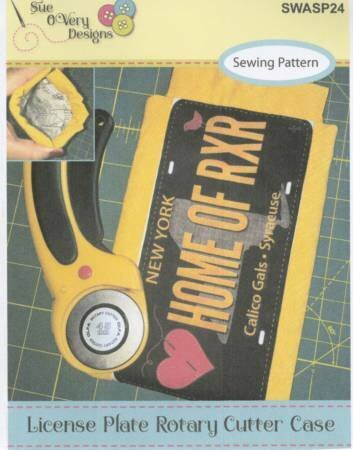 This Pattern Showcases Decor Bond Heavy Fusible Pellon, Creative Grid Quilt Ruler 8 1/2"X 24 1/2", Fusible Fleece Pellon. Finished size 5" X 14 1/2" X 13". 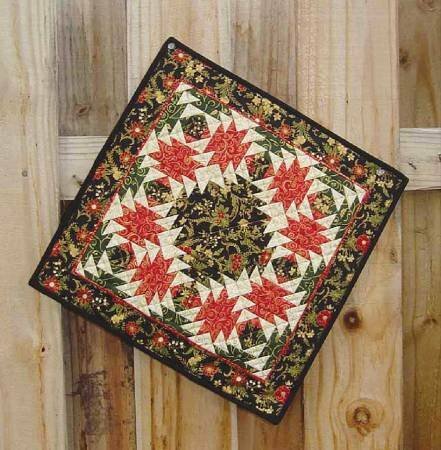 Fold'n Stitch Blooms Pattern by Poor House Quilt Designs. Create a small candle and a bloom from your fabric. 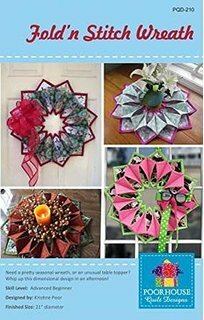 Fold n Stitch Wreath Pattern from Poorhouse Quilt Designs. Finished Size 21" diameter. 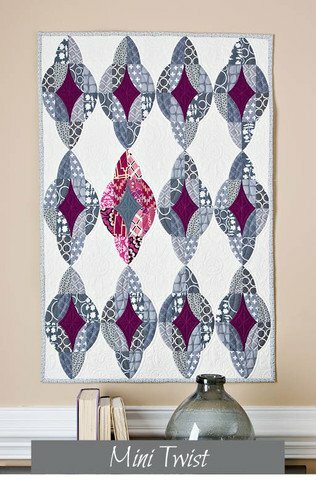 Fold'N Stitch Leaf Topper pattern by Poorhouse Quilt Designs. Finished size 17" diameter. 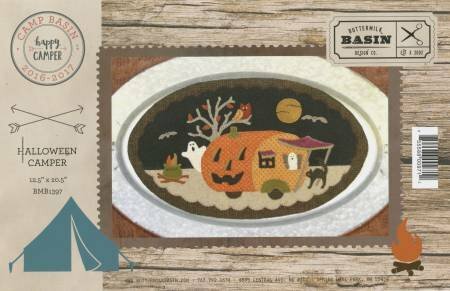 The Halloween Camper is a 12.5" x 20.5" wool appliqued mat. This vintage looking piece will look great adorning your Halloween table. Hexi Door Greeters August Country Farm Theme Pumpkins, a barn, cow and chicken adorn this farm theme door greeter Finished size 9"x32.5"
Hexi Door Greeters July Patriotic and Summer Theme A flag, fireworks, flowers and pinwheel are just a few things that adorn this door greeter Finished size 9"x32.5"
Holiday Skate Growing up in Minnesota, Stacy knows winters and enjoyed ice skating on the pond, especially during the holidays! With Holiday Skate she captures that feeling in this darling woolen design. 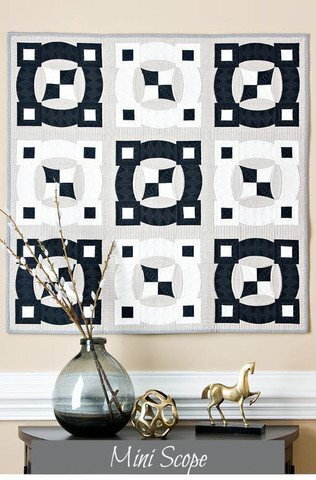 Finished size: 10-1/2in x 10-1/2in. 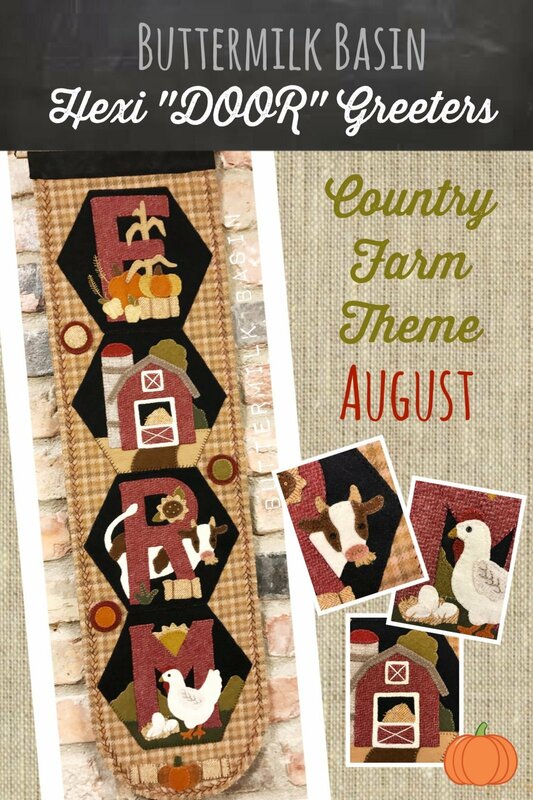 Home Sweet Home by Norma Whaley of Timeless Traditions. Finished size 22" x 22". 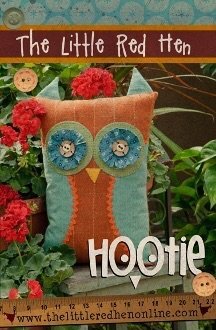 Hootie Pillow finished 8 1/2" x 13"
Inside Out Mats by Poorhouse Quilt Designs. 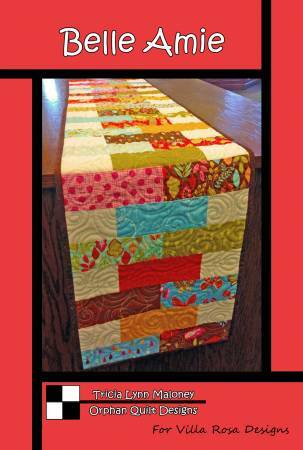 Placemats finish 12.5"x17.5". Also includes bonus table square and napkin ring instructions. Inspirational Mug Mats - Daily Mews. Includes 7 printed statements on 100% cotton fabric and 7 simple mug mat patterns. Finished mat size is 8"x10". 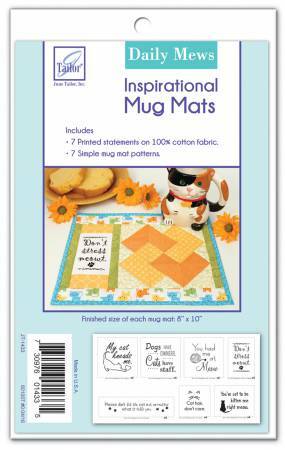 Inspirational Mug Mats -- Spiritual. Includes 7 printed statements on 100% cotton and 7 simple mug mat patterns. Finished mat size is 8"x10." 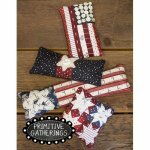 Liberty Pin Cushions or Little Mug Rugs These little cuties can be made into pincushion or just little mug rugs! Can easily be made from your scrap basket. License Plate Zip Pouch by Cozy Quilt Design. 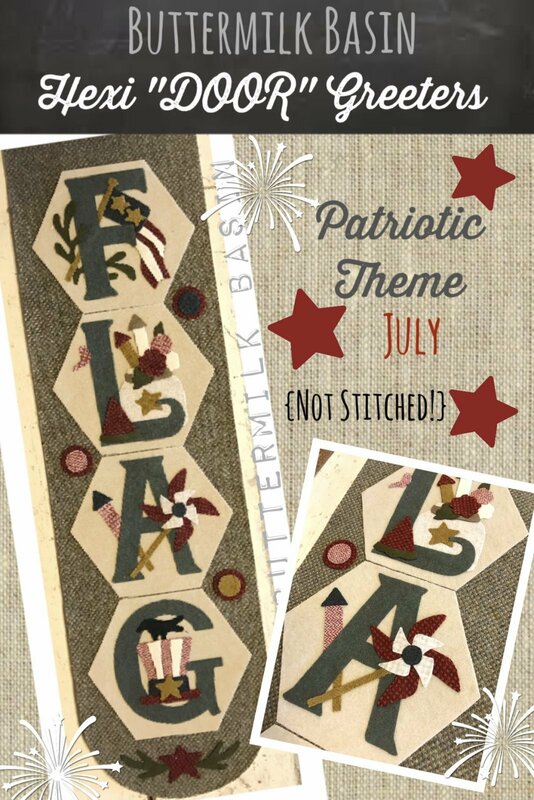 A pattern perfect for using those Row by Row License Plates! Finished pouch size 4" x 7". 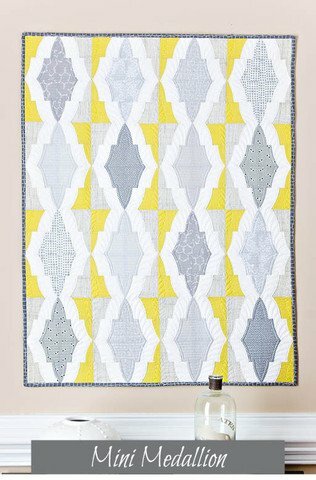 Life Is Better In Full Bloom 8 Block of the Month Wall Hanging 39"x39"
New for Summer 2017 Row by Row. Finished size 12in x 14in. 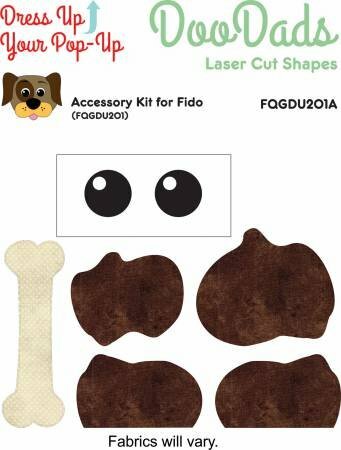 Can be made with cotton or wool. 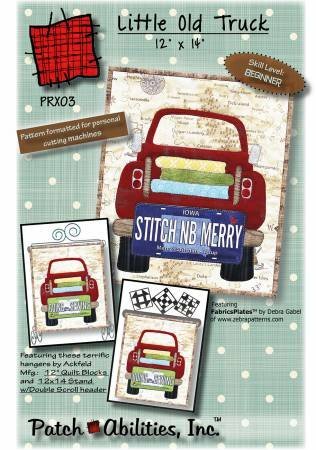 Loads Of Holiday Cheer Adorable vintage truck in 2 finished sizes Mini 16"x27" Big Truck 34"x56"
Mini Medallion by Sew Kind of Wonderful. Uses the QCR mini ruler. Finished size 28" x 32"
Mini Pineapple Table Topper By Cut Loose Press Finished size 15"x15"
Mini Pop Up Refill Finished size 3" Includes refill, elastic and label Make fun mini size pop up that will hold all of your small items! It can even be used in your auto cup holder! Mini Pumpkins by Sew Kind of Wonderful. Uses the QCR mini ruler. Finished size 36" x 36"
Mini Scope by Sew Kind of Wonderful. Uses the QCR mini ruler. Finished size 33" x 33"
Mini Twist by Sew Kind of Wonderful. Uses QCR mini ruler. Finished size 27" x 36"
Noel Pillows We love how Stacy puts a play on letters with this set of 4 Noel Pillows that once together create the word NOEL! These are made of wool and cotton but could be made completely out of cotton or homespun as well. Pillow size: 12in each. 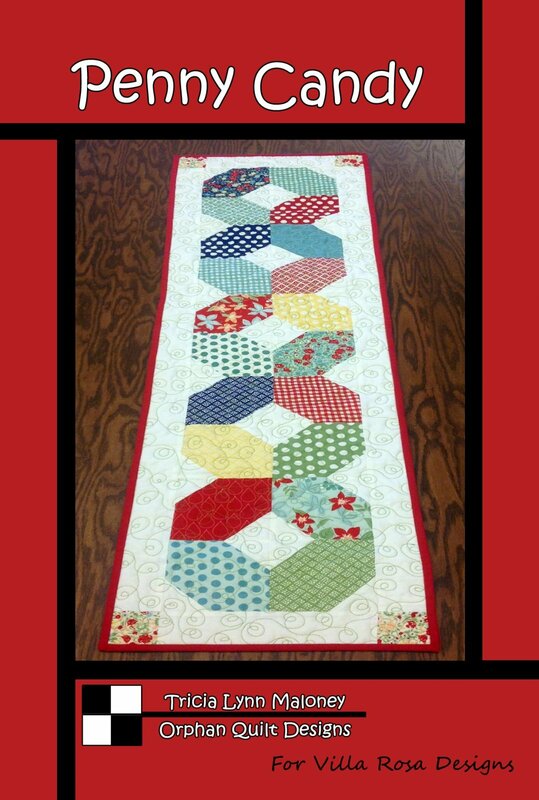 Adorable Table Runner using a charm pack would look good on any table Finished size 13"x49"